Songwriters Jerry Leiber and Nick Ashford, in different ways, brought R&B-infused melodies to the masses, helping provide the soundtrack for many lives. Nick Ashford and Jerry Leiber wrote songs that transcend generations. 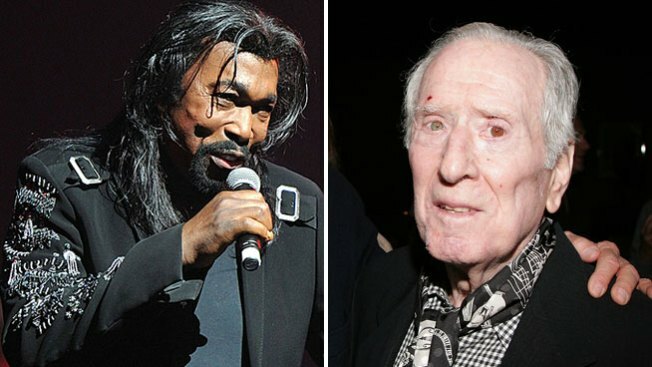 The sad coincidence of songwriting greats Jerry Leiber and Nick Ashford passing away on the same day certainly won't be recalled years from now like, say, John Adams and Thomas Jefferson both dying on July 4, 1826. But these two founding fathers of modern pop songwriting will both be remembered for a shared legacy of bringing R&B-infused tunes to the masses, helping provide the soundtrack for many lives. There are, of course, obviously differences in the duo’s backgrounds and their overlapping careers peaked a few years apart. But there’s plenty of common ground, as befitting two powerful musical crossover forces. Both men were part of incredible, close songwriting teams – Leiber spinning years of hits with his teenage buddy Mike Stoller, Ashford penning classics with his wife, Valerie Simpson. Both co-wrote great songs for the great artists of their time – including women, during an era when sexism pervaded much of the music world. Leiber and Stoller's "Hound Dog," after all, started out as a Big Mama Thornton blues growl before hip-swiveling Elvis Presley gave it his own country-and-blues twist on his way to becoming The King. The songwriting team would go on to pen "I'm a Woman" and “Is That All There is?” for Peggy Lee, and produce girl groups such as the Shangri-las and the Dixie Cups. Both perhaps most significantly, the Leiber-Stoller and Ashford-Simpson teams excelled at creating popular songs that became a common, melodic language for Baby Boomers during times of great cultural change – songs, thanks to memorable lyrics, expertly crafted melodies, strong production values and brilliant performances, endure. Leiber and Stoller got an early start in igniting the rock revolution, writing in the 1950s for acts as varied as Presley ("Jailhouse Rock," “Kid Creole”) and The Coasters ("Yakety-Yak," "Charlie Brown"), whose ingenious vocals elevated what would have been novelty hits in lesser hands to pop genius. As Leiber and Stoller segued into the 1960s, capitalizing on the Phil Spector sound they helped inspire, Ashford and Simpson began writing for Ray Charles ("Let's Go Get Stoned," “I Don’t Need No Doctor”). They later took their talent to the most successful crossover label of them all, Motown, where they turned out songs for Smokey Robinson and The Miracles, Gladys Knight and The Pips, along with Ross, Gaye and Terrell, among others. Leiber and Ashford both thrived for years, thanks to versatility that included becoming successful record producers. That sense of versatility is ingrained in their songwriting. Leiber’s lyrics for The Coasters’ many hits brimmed with humor (“Why is everybody always picking on me?” Charlie Brown asked), while he could pluck heartstrings of romantic idealization for sentimentalists of all ages (“Stand By Me,” written with Ben E. King) and produce straight-out pulse-pounding rock (“Jailhouse Rock”). It’s been more than a quarter-century since “Solid,” and even longer since Leiber and Stoller’s last hit. But the music and influence of Jerry Leiber and Nick Ashford, two great songwriters who leave legacies worth celebrating, will continue to reach out and touch us. Editor's Note: The "In Memoriam" gallery has been corrected from a previous version that mistakenly showed Mike Stoller. We apologize for the error.